← Further proof that bats don’t read books. Yesterday we descended on Flitwick Moor to try to catch a female Natterer’s bat and radio tag it in order to try to locate roosts.. We did this last year at about the same time but fautly glue so the bat shrugged off it tag and proceeded on its merry way. We were pleasantly sidetracked not by the Perseids we had hoped to see but by an earthbound light, not a fragment of Perseid which had failed to extinguish but a lone lady glow worm, who glowed all night, but who are far as we could tell had no suitors. 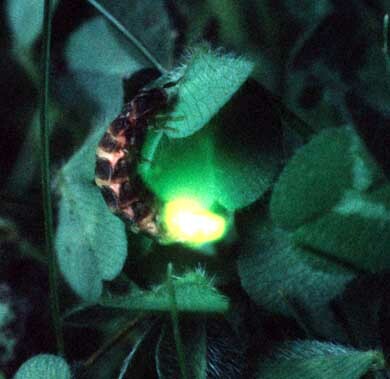 Having time to kill Colin, who is voluntary warden for this Wildlife Trust Site told us tales of glow worms. How the adult female is flightless and shines bright to attract a male: how the males are attracted to the light of the display panel of a bat detector and how the larvae can also glow in the dark. I thought I spotted a couple more at one stage but they were just the reflections of distant head torches reflecting off the car bodywork. Alas this was a male Natterer’s and not the female we had wanted, so was released without being tagged. We also caught a beautiful brown long eared and a sleek male juvenile noctule. unlike last year general bat activity appeared low, but there were pipistrelles elsewhere which we picked up n the Griffin recorders. Chantelle and Colin took photos which I will post here once I get them, and Aidan has his first night as an accredited agent on Bob’s newly renewed licence- a fact we celebrated in the usual bat group way – by eating flapjacks. Flitwick Moor is well worth a visit in the daylight. It is an amazing site witha primeval feel to it. It can be quite spooky, but at night it felt quite benevolent. This entry was posted in Uncategorized and tagged Flitwick Moor, glow worms, Natterer's, noctule, survey. Bookmark the permalink.